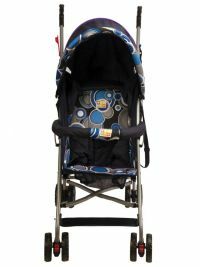 A complete travel system which includes everything you need for your baby Multi position seat recline including the lie flat positions for younger babies Adjustable 3 point harness An eye-catching sporty design. The Mee Mee baby stroller has been made keeping in mind the safety of your child. Its front wheels are rotatable up to 360 degrees. It has a single handle with soft hand grip and is very easy to hold. A reversible handle lets you navigate it conveniently whenever you take your baby out for a stroll. Apart from the option of controlling it from behind, it also has the option of pushing it while facing your baby. One of the most interesting feature of this Mee Mee stroller is its spacious shopping basket that lets you stack all the stuff you buy along the way. Folds very compactly and so it’s called an Umbrella Stroller. Can be adjusted to five different levels. Seat cushion is fixed and made of thick netted fabric. 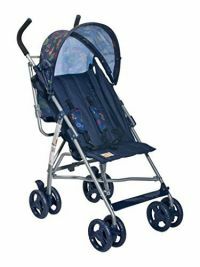 Has adjustable back handles that provide you flexibility in moving the stroller. 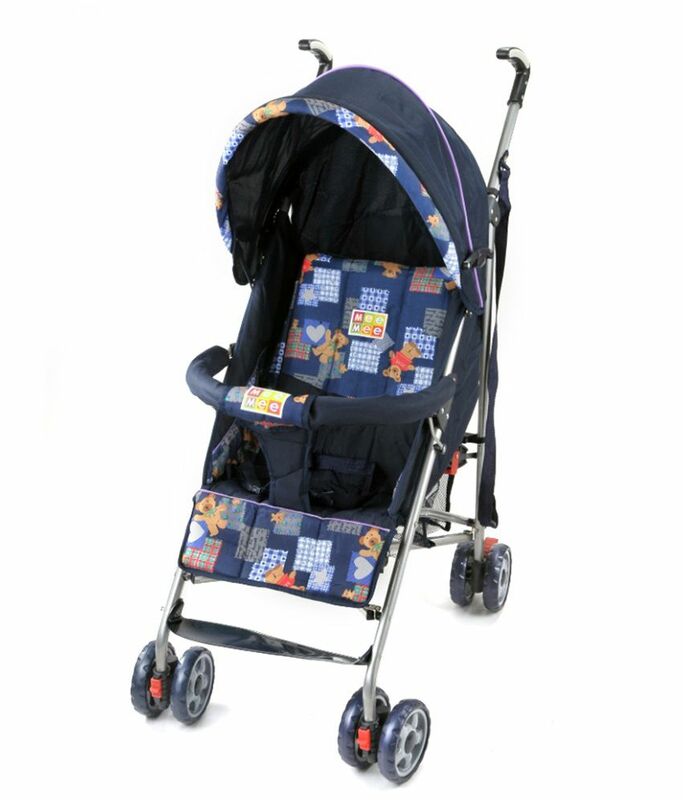 Has an automatic safety lock, so stroller wont fold in case a lever is accidentally pressed. Has a lock to keep the stroller intact after folding. 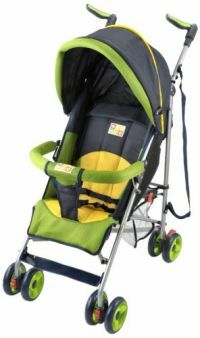 Has a shoulder strap that makes it very convenient to carry the folded stroller while traveling. Has a three point harness belt with waist and lap belt to hold the child securely in place. Front wheels are shock absorbent and have a 360* rotating function making it easy to maneuver in different directions. The rotating function of the front wheels can be locked if you want to go straight. - Back wheels have brakes for safely controlling the vehicle. Has a thick netted basket at the bottom for storage up-to 5kgs. Has a lock to keep the half canopy stiff and in its place. Has a fixed handle in front. Back Wheels Back wheels have brakes for safely controlling the vehicle. To Recieve updates and possible rewards for Mee Mee MM-8369A Navy Blue please sign in. To Recieve updates and possible rewards for Strollers & Prams please sign in.